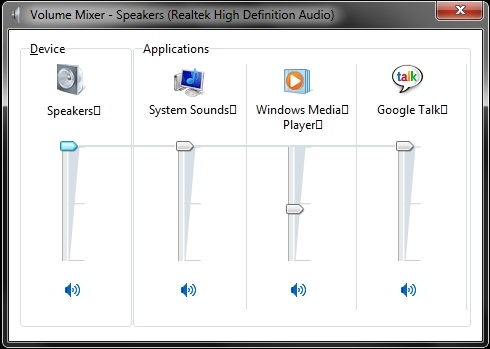 How to Adjust the Volume of a Single Window? In this tutorial you would be learning how to adjust the volume of a single window. The windows operating system allows you this feature in just a single panel. We would be using the windows 7 platform for this tutorial. All you have to do is click on the show hidden icons tab and click on the speakers icon. Next, click on the Mixer option. With that done a new window would pop up. That is basically the control panel which allows you to adjust the volume of each particular window opened separately. You can adjust the volume of the speakers or your system sounds. You can even adjust the volume of any other application opened for example your browser and any other instant messenger application.